It’s time for another giveaway on Sim’s Life and the prize is a really cutie! The Fingerlings range really has expanded over the past couple of years and the latest in the collection is this amazingly cute light up Narwhal! With several different coloured Narwhals to collect, we were sent ‘Rachel’, the all pink design, complete with pink glittery flappin tail and flippers. You will notice that the glitter does come off on your fingers slightly when interacting with the toy, but this certainly does not dull the sparkle! By playing with the range of magic sensors, your Narhwal will interact with you, making different sounds whilst its eyes blink and horn on its head lights up in various colours. Kiss Tech enables the Narwhal to know when you are holding it up to your cheek and will make kissing noises. Batteries are already included in the Fingerlings and there is an On/Off switch to save the battery when not in use. The interative finger puppet slips easily onto your finger and despite it being somewhat bulky whilst sitting there, it is very comfortable. Liv is totally fascinated by Narhwals and the latest Fingerlings is a wonderful addition to her collection. Aimed at children aged 5 years plus, she is possibly on the cusp for toys like this now, however it was a lovely surprise! The Fingerlings toys are quite dinky, making them a great gift idea for travels, especially over the Easter holidays! You can purchase the Fingerlings range from stores such as Smyths and also Amazon – the Fingerlings Narwhal has an RRP of £14.99. It really is a wonderful addition to the outstanding range, with Fingerlings making fantastic pocket money toys! It is certainly the week of giveaway on the site, don’t forget to enter for your chance to win a Jana Reinhardt Hummingbird necklace too! 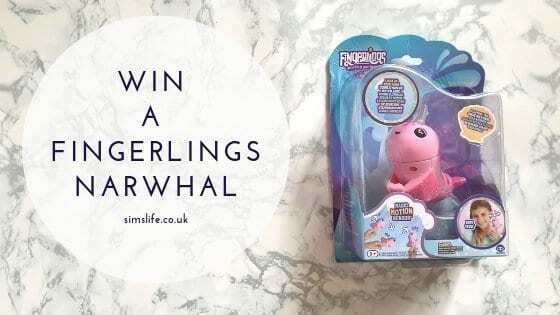 For your chance to win a Fingerlings Narwhal, simply enter using the Gleam form below and don’t forget to answer the question by leaving a blog comment! Giveaway ends at midnight on Sunday 28th April 2019. The one winner will receive 1 x Fingerlings Narwhal. To Sell Or Scrap An Old Car? I always wanted a Mr Frosty when I was young, I never got one so hubby bought me one as a joke Christas gift a few years ago. I now know why my Mam didnt waste her money on one! I always wanted a rocking horse when i was a child, never got one but my cousins had one I played on. A My Little Pony Show stable to keep all mm collection of My Little Ponies in! I always wanted Mr Frosty. Years later my younger sister got one and it was rubbish! I always wanted a Big Yellow Teapot. I loved the hidden roundabout and slide. A Teddy Ruxbin…never got one. I imagine if I got one now it would seem pretty rubbish but at the time, they seemed amazing! I always wanted a rocking horse, they were so expensive at the time, but my Gramps made one! I wanted a Scalextric set as I was really into racing cars. As I child I always wanted a mr potato head, all my friends had one and you could be creative as to what you create, I wanted it so much so I bought my nephew one! I always wanted Hungry Hippos. No idea why, guess I just liked how it looked. I always wanted a Teddy Ruxpin. I remember wanting a life size Barbie doll, this was in the 90s, and asked Santa for one. I saw her in Argos and had my heart set on her as you could share outfits and shoes. Sadly I never did get one. I always wanted a Tiny Tears doll because I wanted my own baby. i wanted a skalectrix . ok i cant spell! I always wanted a tiny tears that drank a bottle and had a wee! I thought they were so cool that I had to have one so I could be like my sister who had a baby! An Ewok village. It was awesome and I was really into Star Wars. A Raleigh Burner BMX. My friend over the road had one and I loved it. I wanted one then and still do over thirty years later. A barbie as I had a cindy! A Rainbow Brite doll, I used to sit on my rocking horse and pretend to be her! I always wanted a Mr Frosty – but I never got one! I always wanted a talking toy pet which I could hold and for it to move or play music. I always wanted Tiny Tears as I loved to play house. I was lucky enough one year to get her, along with a pushchair. I still remember the feeling of excitement. I always wanted an etch a sketch as I loved shapes and making unusual ones – I used to doodle a lot in my school books! I always wanted a Mr Frosty but was never allowed one. Although I understand why, my daughter has asked for one and I’ve said no because I know she’ll use it once and then get left in the cupboard. An etch a sketch as my friends all had one. I really wanted a mr frosty but I never got one haha! I remember always seeing the advert on tv and thinking that’s amazing!! I was a book nerd so I always wanted more books instead of toys! I always wanted a sodastream because I thought they looked fun. A Dolld house to create my own miniature world! I always wanted an a la carte kitchen so I could be like the little girl in the advert and make my dad beans and swiss roll. I never got one. I always wanted a typewriter, I loved writing stories, and it was before the days of computers. 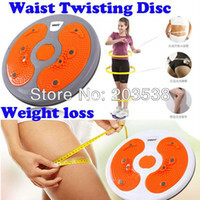 My mum brought one for me, but it didnt work so she took it back and never replaced it, so never had one. I always wanted a kids carpentry set but didn’t get one. I can’t say I’m surprised as an adult, as I’ve no idea what I’d have made with it! I always wanted a treehouse! A big dolls pram because everyone else had one, but sadly I never got mine!! For some bizarre reason for years I was obsessed with getting the Betty Spaghetti dolls. Now, I have no idea why! I never asked for toys I always asked for a dog every birthday and Christmas but my parents never caved in until I was 23! I always wanted a Mr Frosty but I never got one. Hmmf. I always wanted all the power rangers robots to make a Megazord! I can’t remember ever wanting anything except for books. I was always reading and going to a book shop was the best thing in the world to me. I always wanted a double dolls Pram but never got one, I had 3 favourite dolls so they were always squashed in the same Pram! i always wanted a mr frosty but my mum never let me! I wanted an electric train set like my brother’s (so I could make all the little trees, houses etc), but I was not allowed to have one just because I was a girl … I loved my Barbie doll but I’m sure a train set would have been fun… it’s good that times and opinions have changed! Lego – my cousin had it and I was always so jealous! A la carte kitchen!! Always looked so amazing on the adverts! I always wanted a huge fluffy dog soft toy but never received one. So cuddly but they were just too expensive at the time. I always wanted a pogo stick….I finally got one and after 3 days, multiple bruises, scrapes and bleeding grazes, it was resigned to the garden shed to live out it’s days! I’m not sure if this can be classed as a toy but I always wanted a Snow White dress because I loved her! A toy typewriter. I loved typing even back then. Always wanted a Mr Frosty – the idea of making your own slushy was mind blowing. I always wanted a chocolate coin maker because I always have been a bit of a chocoholic! I always wanted a soda stream, not so much a toy, but all the other kids had one and I was so jealous. I would have loved to have a teddy bear but was always told that they were for boys! I always wanted a furby!